Adobe makes a fine family of products, and if you're using InDesign and Photoshop in your workflow, you're already well ahead of the game. But the complexities of these programs sometimes lead to huge projects that take up immense amounts of hard drive space and take a long time to process. That's why you need LinkOptimizer! LinkOptimizer is a solution for Adobe InDesign that works with Photoshop to reduce linked image sizes, perform image adjustments, convert file formats, and more -- essentially reducing your processing time and costs dramatically! By collaborating with both Photoshop and InDesign, LinkOptimizer automatically reduces image resolution, cropping and scaling the images so that they are optimized for your InDesign document. The result? The same InDesign document as you intended, only much leaner. Multiply this by several large projects and you get the big picture -- lots of optimized images, lots of saved hard disk space, and massive time savings. 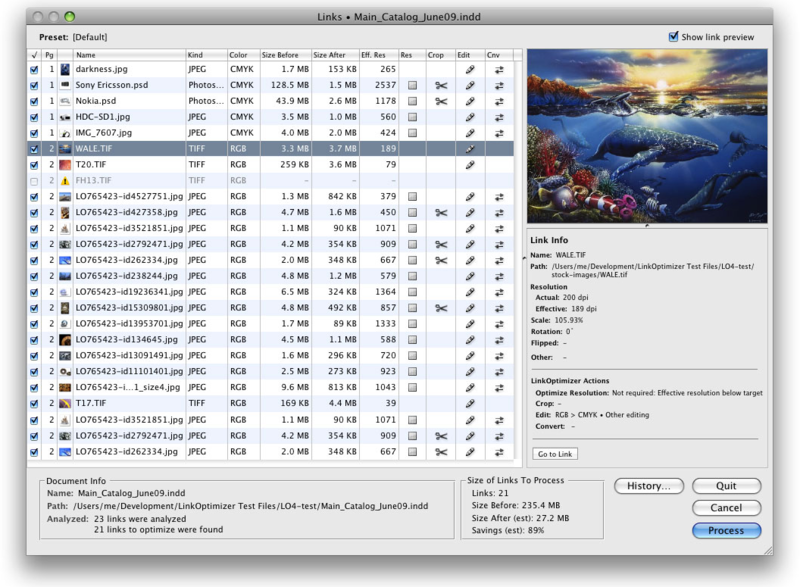 Image adjustments don't have to be performed manually in Photoshop, not with LinkOptimizer by your side! LinkOptimizer automates the process of performing final image adjustments, converting colors to CMYK, RGB, or grayscale, applying sharpening filters, merging layers and flattening images, even converting image formats to your preferred file format. Please note folks: the main new feature of the new version is batch processing of InDesign files. Now you can optimize multiple files with a single click. 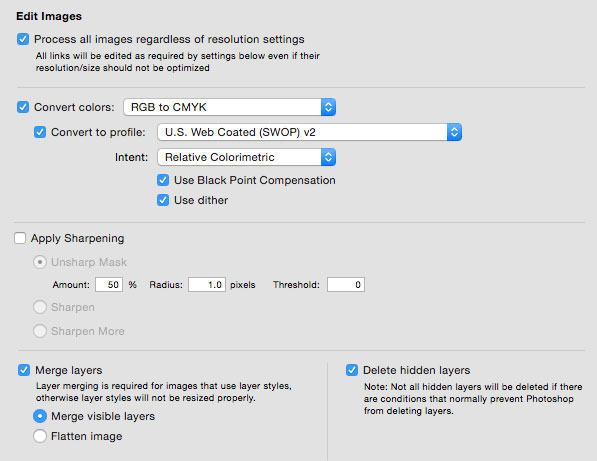 Improve your Adobe Photoshop/InDesign workflow. Reduce processing time and costs dramatically. 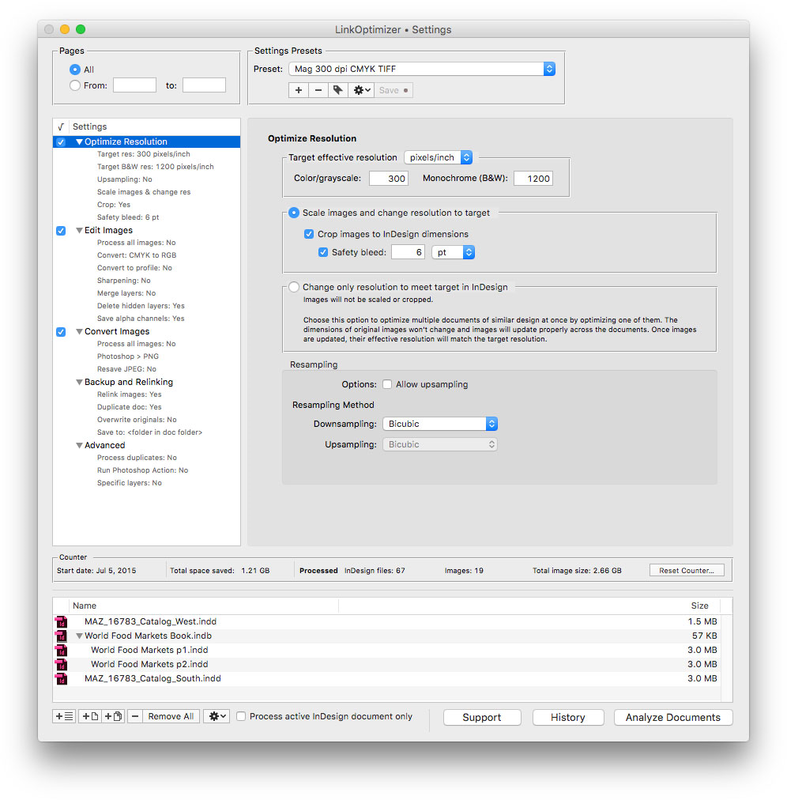 Automatically streamline and reduce image sizes in InDesign documents. Automate the process of performing final image adjustments. 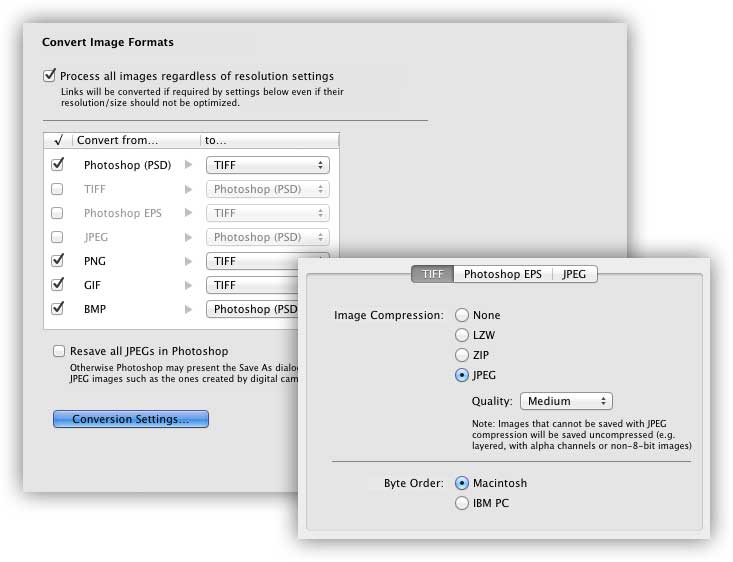 Convert images to your preferred file format. After you purchase LinkOptimizer it may be used indefinitely. LinkOptimizer is licensed per computer, and not per user. Upgrades to future versions of the software will be free for minor versions only. For versions after that, upgrades will require additional payment, which will be discounted by 60%.